Newmarket is quite possibly one of the most historic and well known towns in East Anglia, a market town that has become internationally recognised as both the heart and capital of the horse racing industry. The town dates back to the early 1600s when first described by Charles 1 as a “little village” and has continued to be a centre for British royalty. 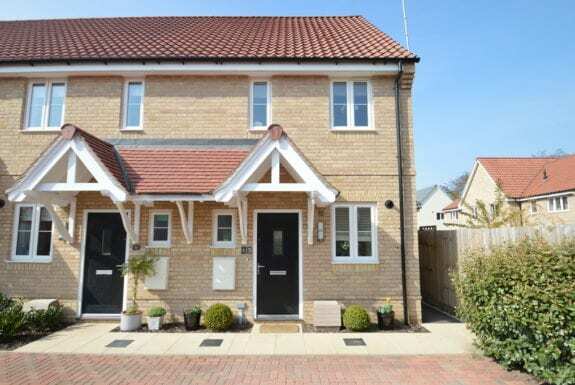 Newmarket has in more recent times become a thriving town offering the convenience of modern living with a wealth of amenities including award winning restaurants and cafés as well a bustling high street with popular nightlife venues. The town has recently been shortlisted as a potential world heritage site offering all the benefits of beautiful and unrivalled green spaces with housing stock from the typical chocolate box village cottage to the most contemporary modern homes. Newmarket also boasts a wealth of educational facilities, great transport links to nearby City of Cambridge as well as Bury St Edmunds. Our Newmarket team is underpinned by its local knowledge with staff that live in the area and enjoys over 30 years of combined experience in both residential sales and lettings. 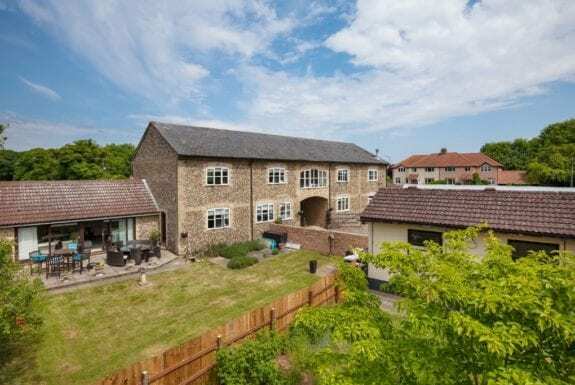 Newmarket is a vibrant and active town to both live and work in with something to suit all lifestyles be it the busy bustle of the town itself or the quiet pace of some of the county’s most stunning and picturesque villages. The practical benefits of Newmarket’s transport links are certainly a great advantage with Cambridge a short drive or train ride away and central London less than an hour by rail. Luke Johnson heads up our Newmarket office having joined the company after leaving the close by city of Cambridge. 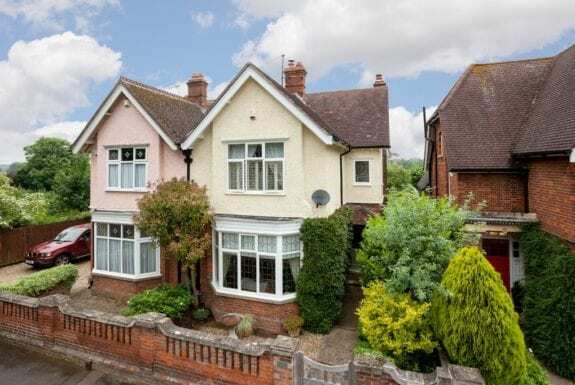 Having grown up in Suffolk and Cambridgeshire all of his life and being an estate agent for many years in the area he’s passionate about the area and the expansive selection of property the counties offer. In his spare time you’ll likely find him enjoying the countryside further with a run, dog walk or even a drink or a bite to eat in one of the many desirable pubs and restaurants locally. A vastly improved, spacious and fantastically presented four bedroom home privately set within the ever popular village of Burrough Green. The property enjoys accommodation measuring in excess of 2,000 sq. ft. with the master suite and the sizeable kitchen/dining room standing out as particular assets. Externally boasting driveway parking, a double garage and a wrap-around garden that backs onto open fields. A substantial and fantastically presented five bedroom detached home situated on the outskirts of the well served village of Wickhambrook. Each room boasts a contemporary and spacious feel and enjoys an impressive finish throughout with oak doors, underfloor heating in some areas, fitted ceiling speakers and mood lighting. Externally benefitting from electric gated access, substantial driveway parking and a mature and private rear garden. All of which measures in excess of 0.25 of an acre. The Green House is an abundantly impressive, unique and substantial four bedroom detached property situated within one of the areas finest villages. 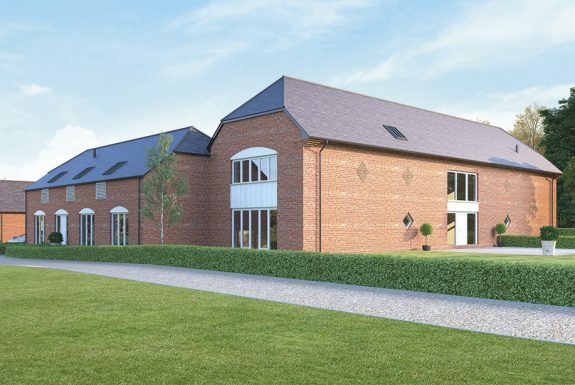 The property features energy saving technology and underfloor heating throughout, as well as equestrian benefits including an arena, paddock and a stable. Further externally benefitting from gated access into a substantial gravel driveway that in-turn leads to the garage and further outbuildings; beyond that is the gardens and equestrian facilities. In all about 1.4 acres. 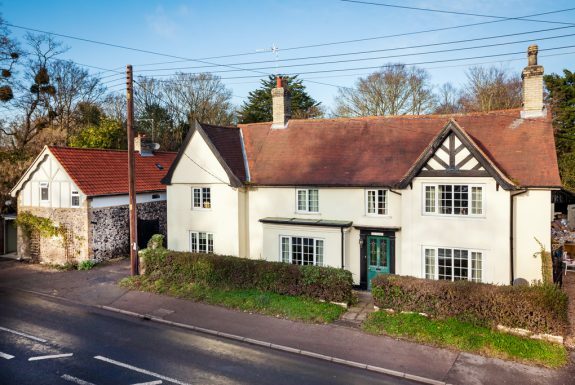 Hightrees is a charming detached property with an abundance of character and period features with the original building dating back to circa 1600. 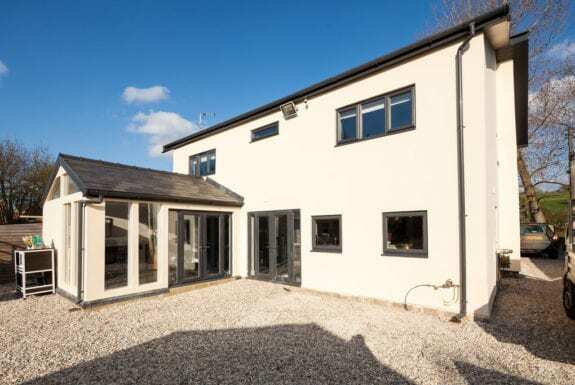 Set within beautiful grounds incorporating a woodland copse and stream. Internally the property offers well-proportioned accommodation including an impressive dining room with inglenook fireplace, sitting room and separate breakfast room with 4 first floor bedrooms, 2 bathrooms and bedroom 5/study downstairs. In all about 1/3 of an acre as well as use of a further 6.5 acres (subject to survey) upon separate negotiations. A spacious and exceptionally well presented semi-detached Edwardian property situated on one of the towns most sought after roads. The property enjoys sizeable and beautifully presented accommodation throughout measuring in excess of 2000 sq. 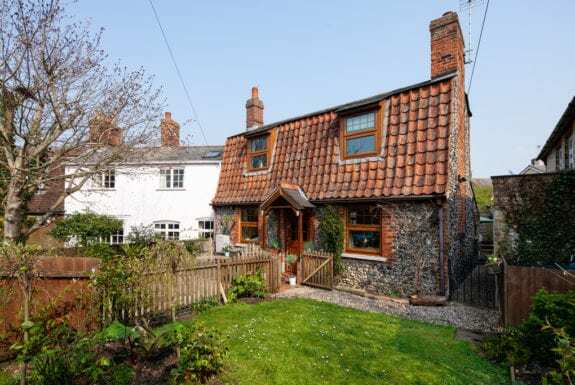 ft. Externally benefitting from a pleasant front garden and a delightful and mature rear garden. 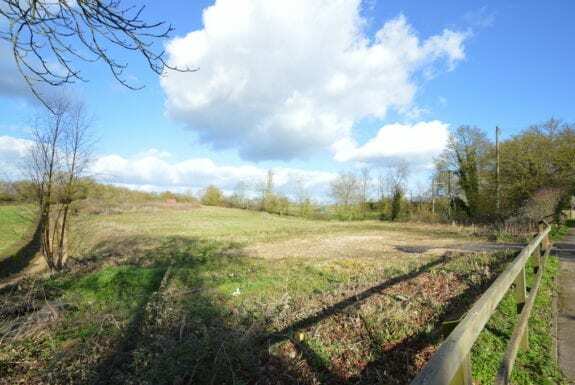 A plot of land measuring approximately 0.8 of an acre situated in the popular village of Ousden. 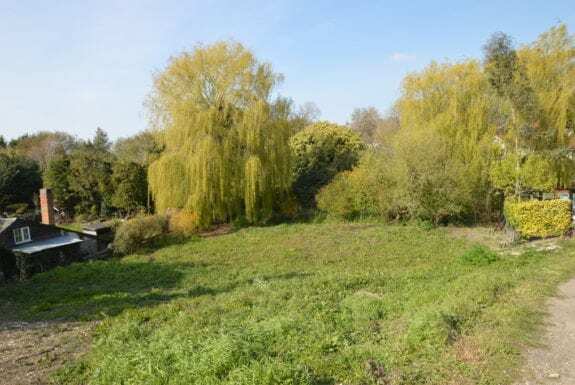 The land currently does not have planning permission; however, it is speculated that it would be possible to build 2 or 3 properties on this section of land. For additional information, or to arrange a viewing please call Luke Johnson of David Burr Newmarket on 01638 669035. 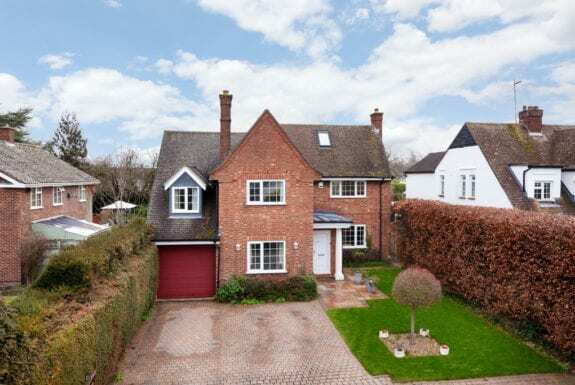 Offered for sale with no onward chain, a deceptively spacious and idyllically situated four bedroom home located within one of the areas finest villages. The property boasts sizeable accommodation throughout with further potential to improve. Externally the property enjoys gated access, driveway parking and delightful gardens. In all about 0.3 of an acre. A favourably positioned and well-presented three bedroom detached property located in one of the areas finest villages. The home boasts sizeable accommodation throughout including; entrance hall, sitting room, dining room, kitchen, three bedrooms and a family bathroom. 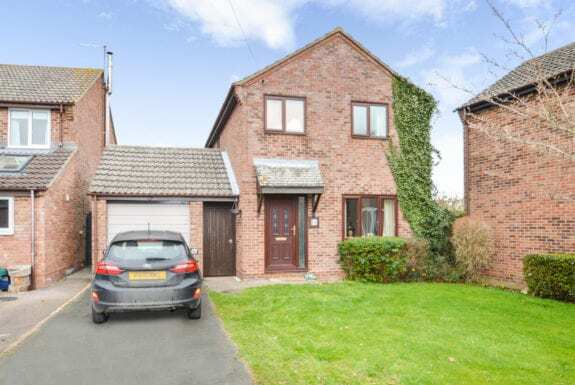 Further benefitting from driveway parking, a single garage, a small front garden and a spacious rear garden. A fantastically presented two bedroom end of terrace property situated on the outskirts of the thriving and well situated village of Kentford. The property boasts immaculate accommodation throughout including an entrance hall, cloakroom, kitchen, sitting room, bathroom and two bedrooms. 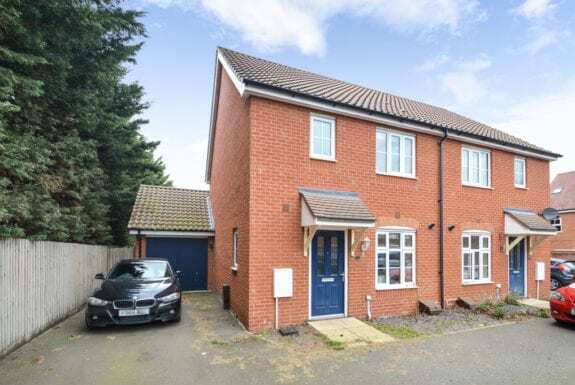 Externally benefitting from driveway parking for two vehicles and an enclosed rear garden that boasts an extensive paved terrace, lawn and raised flower beds. A favourably positioned and particularly well-presented three bedroom semi-detached house occupying a private plot within Red Lodge. The property is nestled within the corner of the development with ample parking and privacy particularly in the rear garden. The property enjoys driveway parking and an attached single garage. 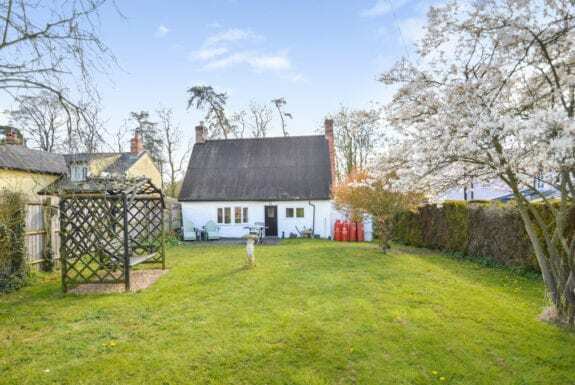 Chapel Cottage is a unique and abundantly charming two bedroom detached cottage situated within one of the areas finest villages. 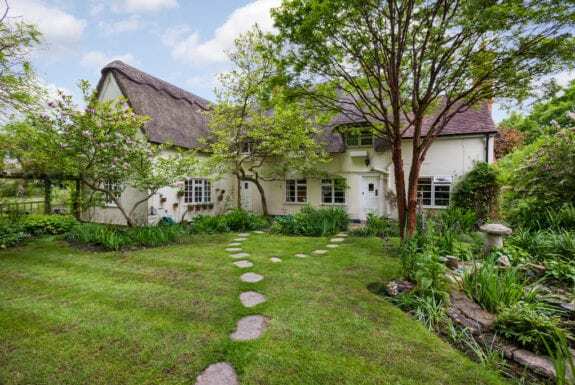 The property offers characterful accommodation throughout that includes kitchen, dining room, sitting room, shower room and two first floor bedrooms. 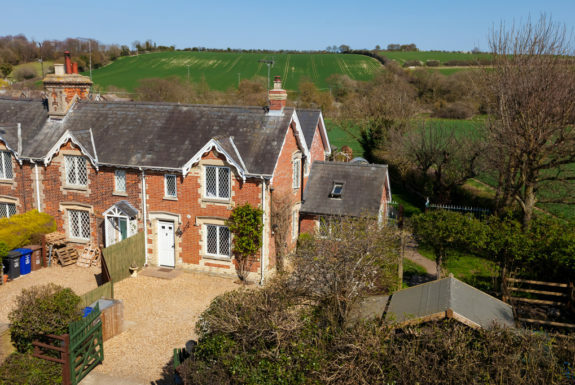 The property enjoys an elevated position with a driveway, front garden, a sizeable rear garden and stunning views across open countryside. This individual building plot is situated in a quiet setting within one of the areas finest villages. The contemporary design will offer approximately 2,000 sq.ft of living accommodation. Further offering a generous garden and a driveway. In all about 0.21 of an acre. Planning reference: DC/18/2498/FUL.